Film Plot: An obsessed scientist assembles a living being from parts of exhumed corpses. Grade: C7	Fine to Very Fine. Folded, single-sided. 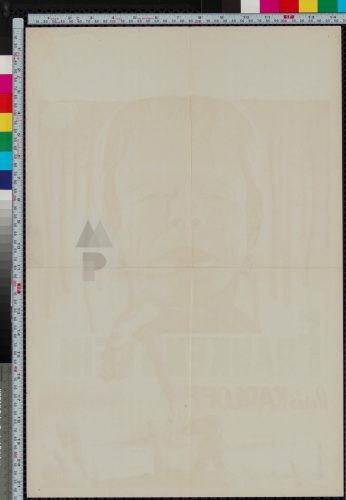 Theater used poster with minimal suface/handling/edge wear, would grade higher if not for some clean staple holes in the corners, slight corner creasing in teh upper blank area and the slightest of wear along the folds. A very nice example of this poster! 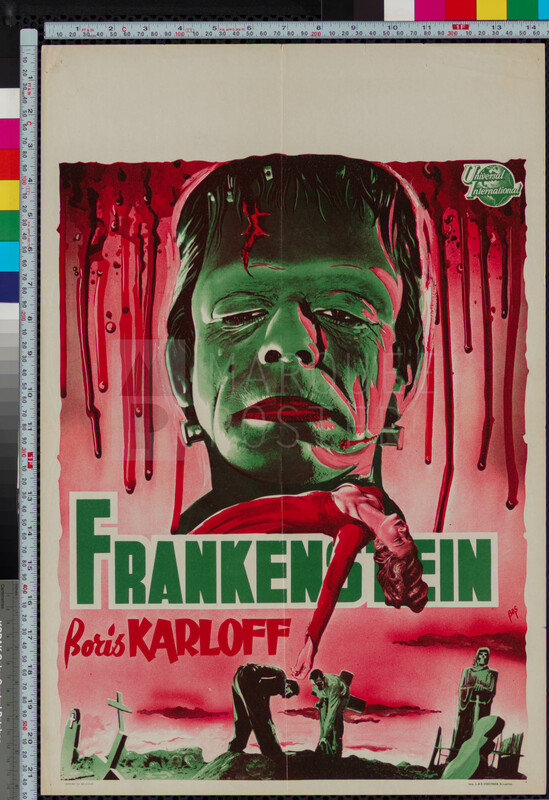 This Belgian poster with art by Bos has an awesome image of Frankenstein’s monster! 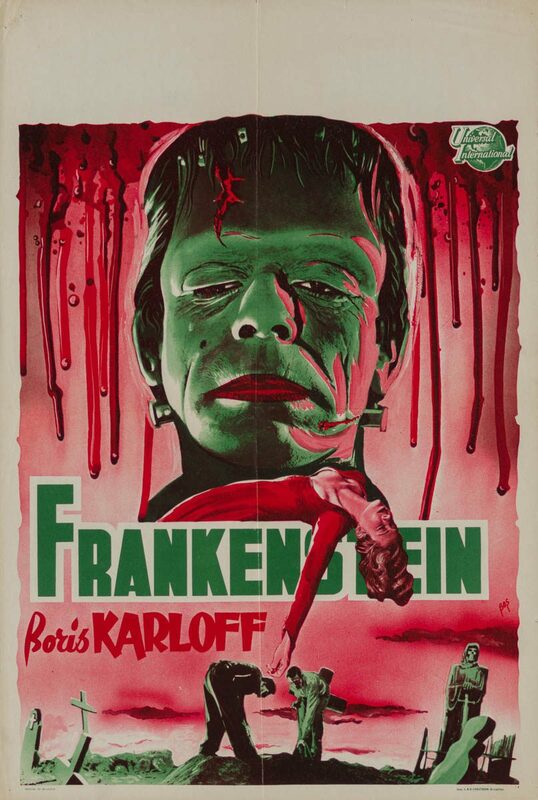 Although, it appears they used Glen Strange — the actor who took over for Boris Karloff in some of the later films — as inspiration!